Since arriving on Spanish shores, back in 2005, our curiosity has allowed us to explore just about every corner, crag and crevice of the Iberian peninsular (Iberia = Spain and Portugal), during which time we’ve written hundreds of articles about our discoveries and gained a wealth of knowledge about Spanish and Portuguese culture and cuisine. The idea of this page is to help you find the tidbits that most interests you, and hopefully, be inspired to embark on your own Iberian adventures. As well as linking to some of our favourite travel posts from the past (by ourselves and our expert team of contributors), we also aim to bring you “foodies’ guides” to all the best cities and regions in Spain and Portugal, with tips on combining sightseeing and culture with more epicurean visits… to tapas bars, restaurants, xampanyerias, cerveserias, vineyards, wineries and much more. Plus, we also intend to highlight the most interesting gastro-related activities, tours and wine tasting experiences that we feel our readers will appreciate. Buen viaje! Spain is a diverse country, with not one national identity but many: 99% (if not all!) of Basques, Catalans and Galicians, just for starters, would quiver from defining themselves as strictly ‘Spanish’, despite the outside world lumping them in that very category. And it’s not just the people who are different. The land is varied too, from the wet lush woodlands of the North to the craggy shores of the Costa Brava, the dry interior plains and coastal mountain ranges. No doubt its this mix of peoples and geography that makes for such a rich and varied travel experience and manifests itself too in the different cultures and cuisines one encounters along the way. Great cities, like Madrid, Barcelona, Granada and Seville, idyllic islands like Mallorca and Ibiza, friendly people – no matter whether they’re speaking Castilian, Catalan, Basque or Valenciano – and amazing cuisine, from tapas and paella to Iberian hams and artisan cheeses. Did we mention that we like the wine here too? For more tips on food, culture and sightseeing check our gourmet travel guide to Spain. 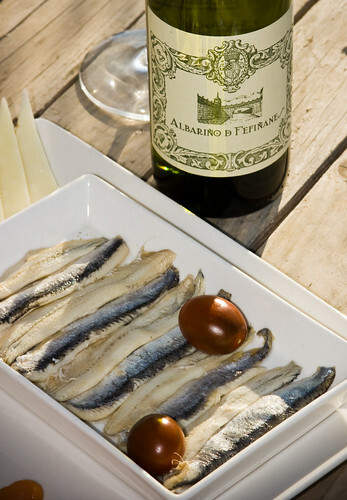 Or for organised travel head over to our section on food and wine tours of Spain. All previously published articles tagged with Spain. Sitting astride Spain, on the furthest corner of the Iberian peninsular, it’s easy to make superficial comparisons between the two countries. They both enjoy hot climates, are popular tourist destinations, speak Latin-based languages and have a healthy appetite for leisure, food and wine. However, with breathtaking coastal cities like Lisbon and Porto, delightful rural aldeias (or villages), and of course, their own cultural traditions, like the melancholy Fado, Portugal is possibly yet more romantic than its neighbor. And there is no better way to experience this than sailing in the Algarve, appreciating the lush and moss covered gardens of Sintra or exploring the Gothic architecture in Viana do Castello. And whilst its food and wine are less celebrated on an international level, that’s not to say its inferior in any way. Check out this article on Portuguese food and drink and you’ll start to understand why. Between their grilled fish, sumptuous pastries, warm stews and varied cheeses, there is no shortage of options to entice the palate. For more travel tips check out our gourmet guide to Portugal. For organised experiences check out our section on food and wine tasting tours of Portugal. All previously published blog posts tagged with Portugal.